Xiaoming Chen teaches courses on the history of Asian countries and regions, including China, Japan, Korea, Singapore, Taiwan, and Hong Kong. 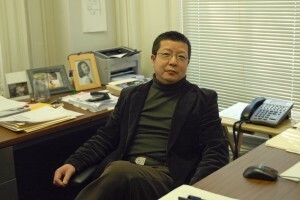 His book, From the May Fourth Movement to Communists Revolution: Guo Moruo and the Chinese Path to Communism, was recently published by the State University of New York (SUNY) Press. Chen also has published articles on the May Fourth period (1915–1925) in modern Chinese history.